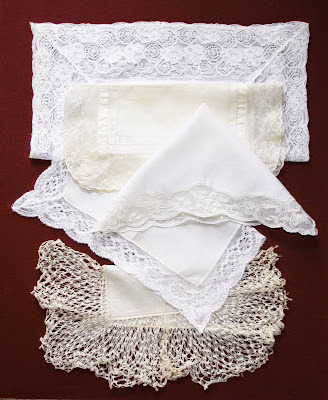 Last June I wrote on the subject of “Hankie History”. 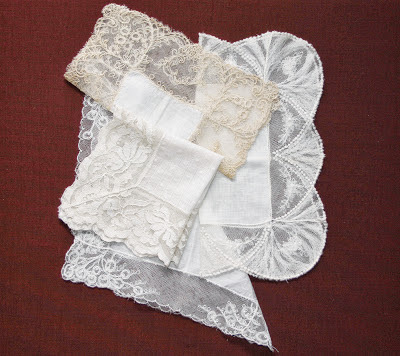 June is traditionally associated with brides and weddings as the month is named for the Roman Goddess Juno (wife of Jupiter) who was the goddess of marriage and households and, therefore, I chose “wedding handkerchiefs” as today’s topic. Wedding handkerchiefs are the most valued of all hankies. Traditionally they were made for the bride to carry, usually by the bride’s best friend. These textiles range from simple tatted edgings to very elaborate whitework. Whitework is a broad term which includes white embroidery, lace and drawn work on fine white fabric. Very popular are monogrammed handkerchiefs, especially those from the late 19thC which feature small motifs of flowers and vines and intricate scrollwork. 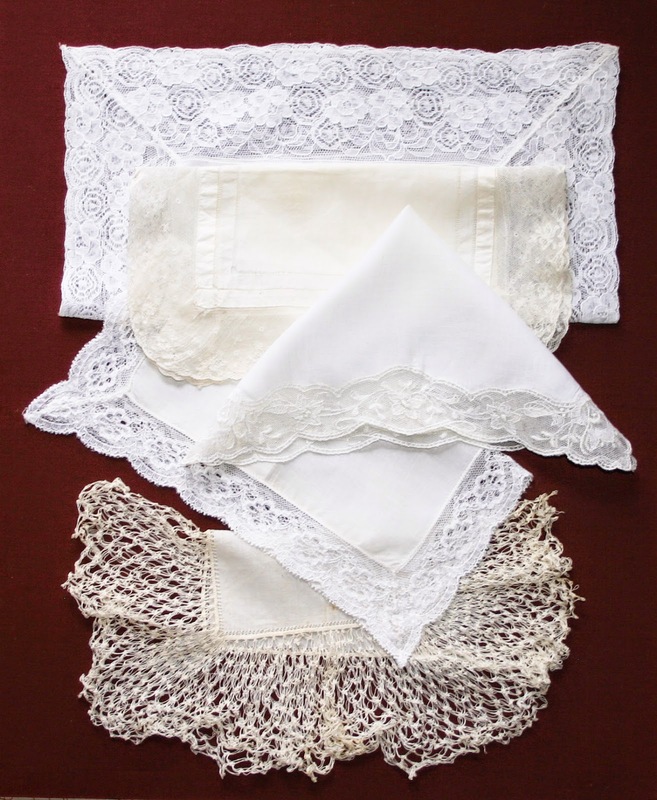 If you find a suitable example of these handkerchiefs it is well worth the purchase so that you have on hand a remarkable gift for an upcoming bridal shower or to include with a wedding card.